strict warning: Declaration of views_handler_field_broken::ui_name() should be compatible with views_handler::ui_name($short = false) in /home/morcom2/public_html/sites/all/modules/views/handlers/views_handler_field.inc on line 641. All-American Rose Selections’ (AARS) “America’s Best Rose Garden” competition is a national competition to find the best public rose gardens in America. The voting officially starts on April 1st, 2010 and closes July 1st, 2010. Communities across America can vote for their favorite local garden. Group Photos 1, originally uploaded by ancawonka. 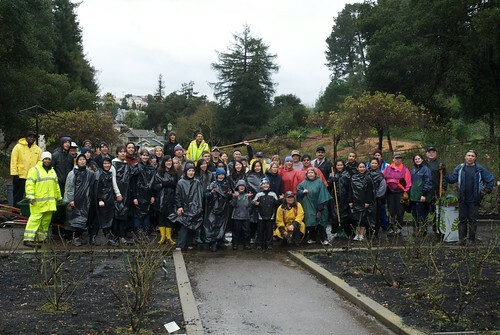 We had about 425 people who dug, weeded, and moved tons of mulch to the garden beds. Morcom is now an AARS Accredited Rose Garden!! All-America Rose Selections is a nonprofit association dedicated to the introduction and promotion of exceptional roses. The AARS runs the world’s most challenging horticultural testing program, and consistently recognizes roses that will be easy to grow and require minimal care by today’s busy homeowner.